This is a perfect creamy pasta dish that uses some of the fresh basil we have in the veg boxes this week. 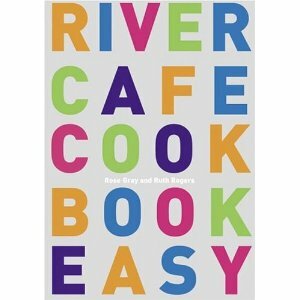 It comes from the first River Cafe Cook Book Easy, whose authors are the late-lamented Rose Gray and her fellow River Cafe founder Ruth Rogers. Peel and chop the onion and the garlic. Cut the pancetta into 1cm pieces. Rinse the beans if tinned. Heat 2 tbs of olive oil in a thick-bottomed pan. Add the onion and cook until soft, then add the garlic and pancetta and cook until the pancetta is translucent. This should take about 10 minutes. Add the tomatoes, chopping them up to make a sauce, and cook for a further 10 minutes. Season, then stir in the borlotti beans and cream. Cook for 5-10 minutes, until the sauce is thick. Add the basil and 2 tbs of olive oil. Cook the tagliatelle in boiling salted water until al dente. Drain, retaining 3-4 tbs of the pasta water. Add the tagliatelle to the beans, adding the retained pasta water if the sauce is too thick. Toss together, drizzle with olive oil and serve with the Parmesan.